Ok, I’ll get off my soapbox on trying to encourage you to try a new small project! I hope by seeing this project, you’ll just be inspired to start small projects of your own. 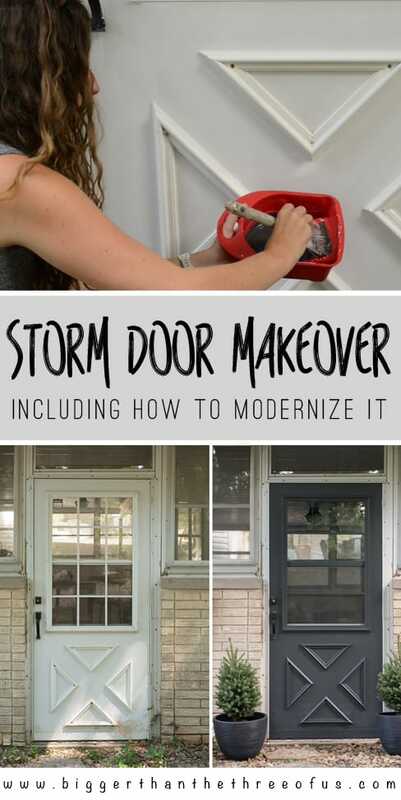 Ready for the tutorial for How to Update a Storm Door including how to modernize that muntin frame?! I hope so! 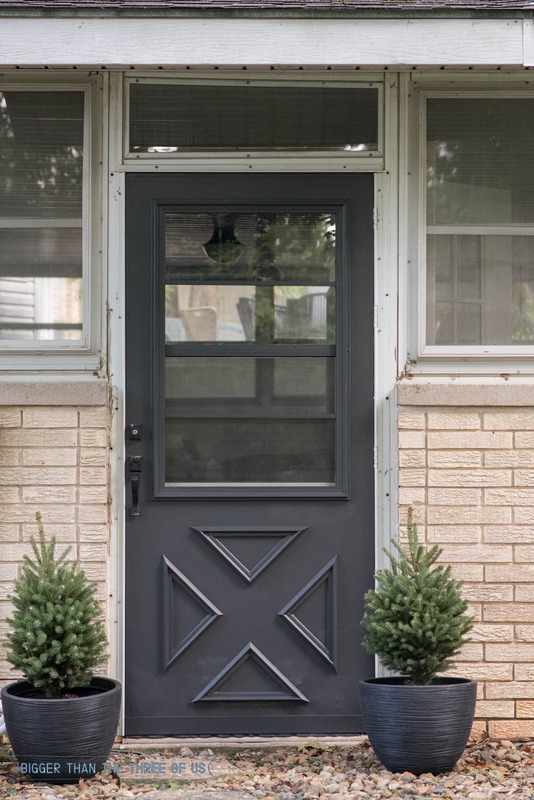 Let’s say goodbye to the 9 or 12 panel grilles on our doors. Let me just say that, in this image, it was bright and sunny and the door looks 85% better in the picture than it does in real life. In real life, it’s dirty, has some chipping or weird finish issues and basically just looks like it’s been on the house for 35+ years and not thought about during that time. 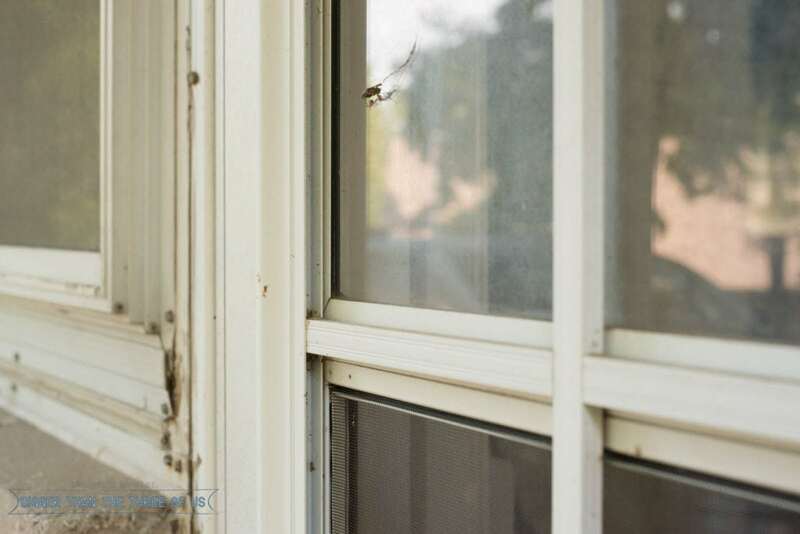 To start the project, I first had to determine how the window grilles (sashes, muntin, bars, etc.) were attached. We have three different doors in our house that have a muntin frame and all three doors have the muntins attached in a different way. 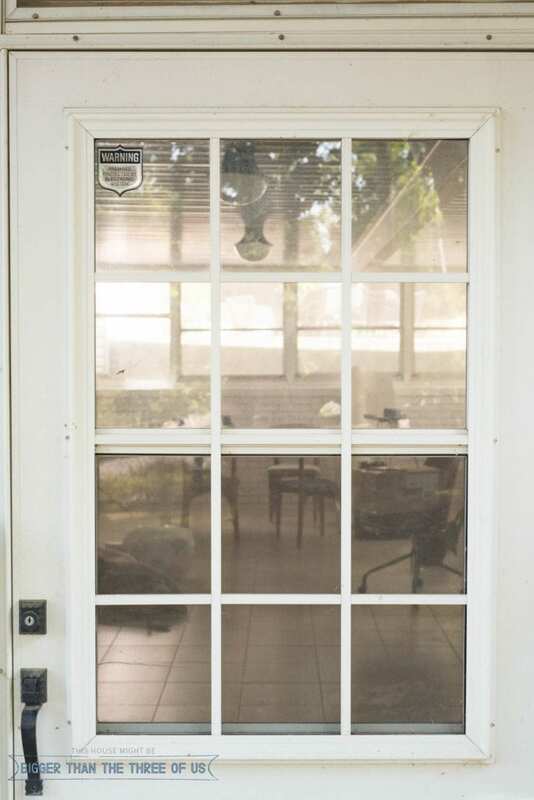 For this particular storm door, the muntins looked to be attached to a frame and the frame looked to be attached to the storm door itself. The first real step was then to take off the frame that held the muntin pieces. I used a drill and just unscrewed the whole frame from the door itself. Our frame was decorative, meaning that it didn’t hold the glass panel in, it was just there for aesthetics. Unscrewing the frame was really easy. The next step was to figure out how to get the bars out of the frame. To be honest, they really didn’t want to come out! I knew the general design of the bars that I wanted (I wanted to replicate the window grilles on our front doors). After a bit of trial and error, I ended up using bolt cutters to cut the pieces that were originally going horizontal on the window frame. The reason I did this was because those bars were connected to the longer vertical bars and where they were connected, they weren’t seamless pieces of aluminum. I was careful to not damage the two vertical bars because I knew that I was going to use them in my makeover. After I got the horizontal bars cut with the bolt cutters, I used a mallet to tap the vertical bars out (you can see more of this process in the video below). 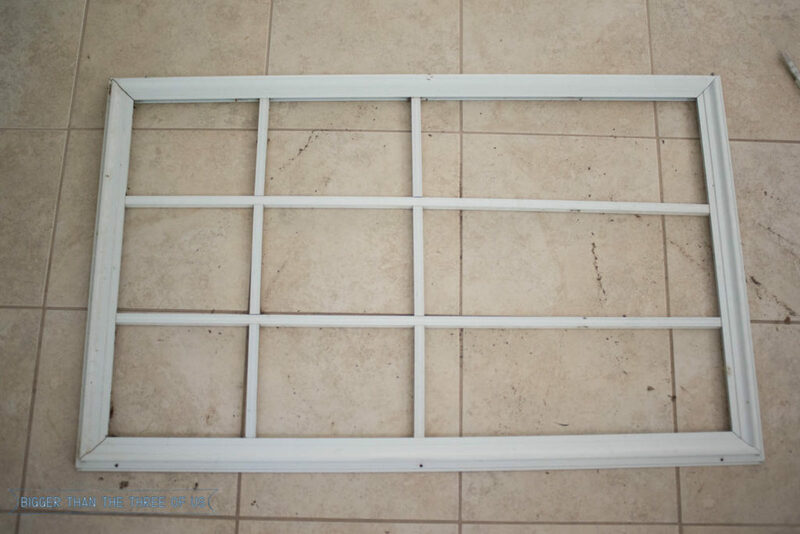 Ok, now that you have the frame pieces out, you want to measure from left to right on the window frame. Use that dimension and then use a hack saw with a metal blade to cut the remaining two aluminum bars to size. From there, all you have to do is slip them back in the frame. Next up is the fun part! 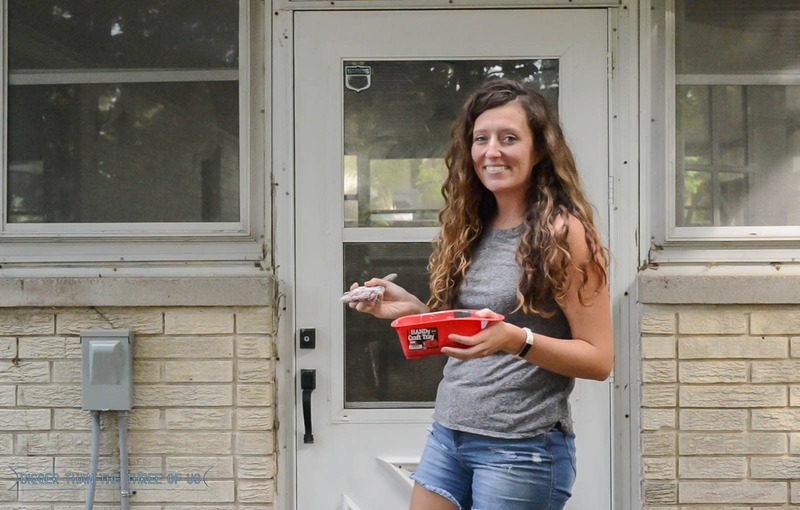 You get to paint your door! 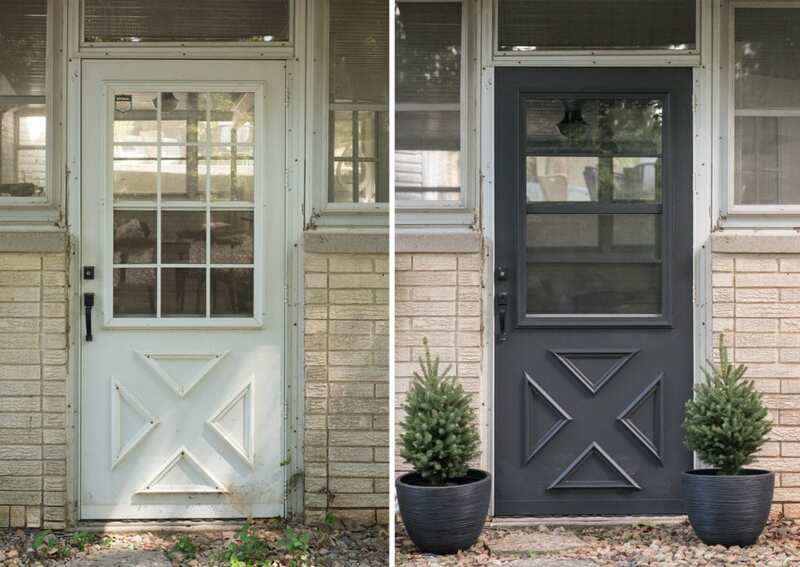 I’d recommend painting the door and frame separate and then, once they are dry, adding the frame back to the door. I was going to do it all together until I realized that if I put my frame across my screen in the door then I’d have to be VERY careful not to get paint on my screen. So, save yourself the trouble and just paint the frame and the door separately. 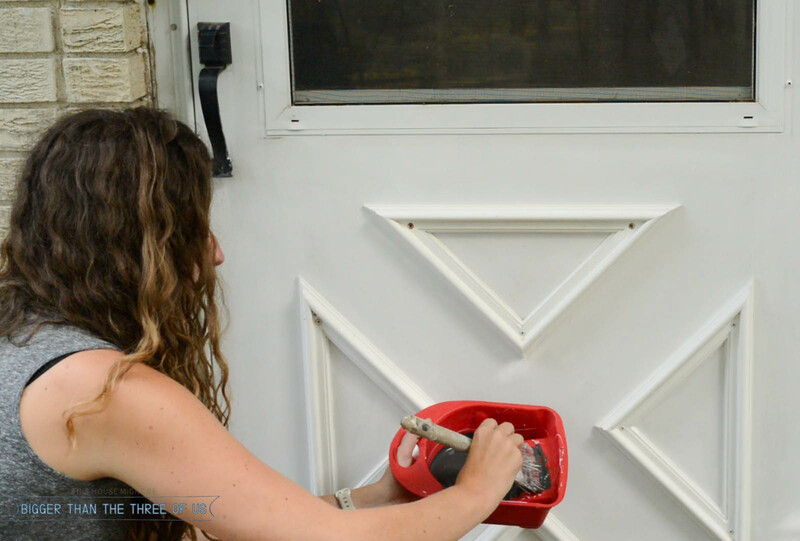 Before you paint, definitely use an all-purpose cleaner to clean your door, screen and grille! For painting, I used a really good primer, a HANDy Craft Tray (which was so perfect for this job) and a small paint brush. I brushed the paint on lightly and then let it dry. Look (or don’t look – it’s kinda gross) at this close-up! After priming, I got to painting. 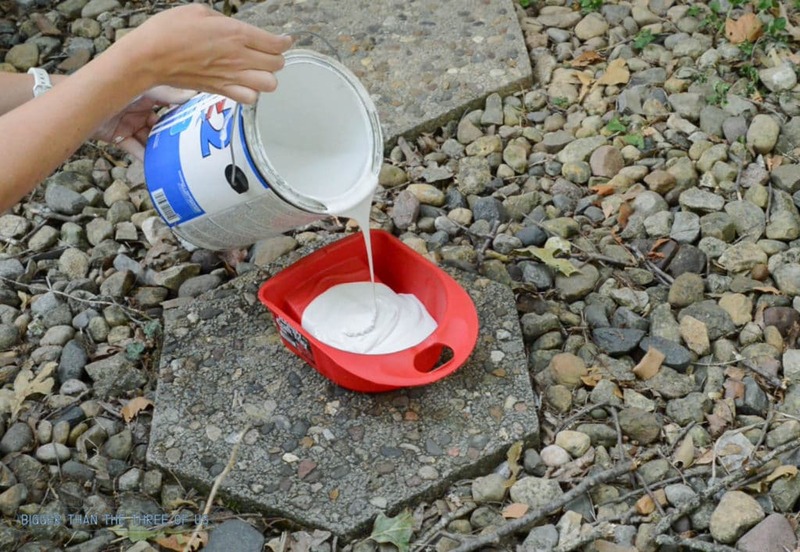 I used an outdoor enamel paint and the same HANDy Craft Tray and brush just like I did with the primer. 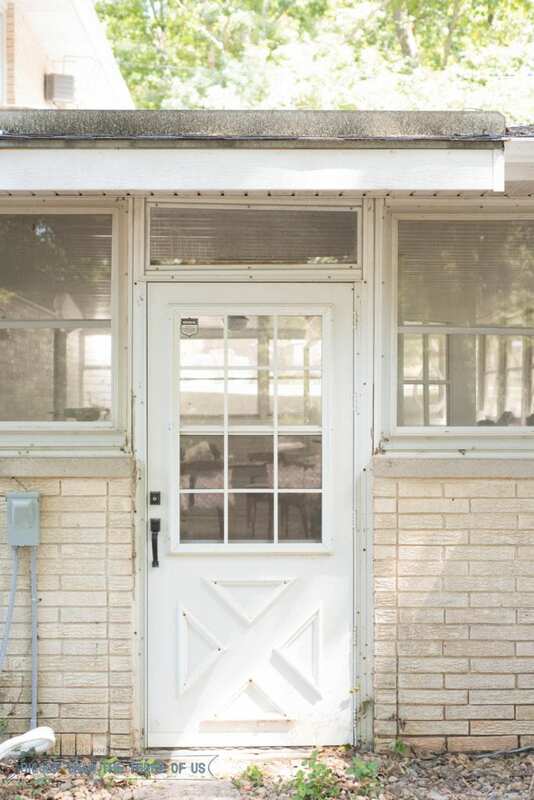 Let the paint dry and attach the storm door grille! That’s it! I seriously can’t get over the difference this project made for this space. It’s drastic, right?! I don’t mean to toot my own horn, but it’s so good guys! 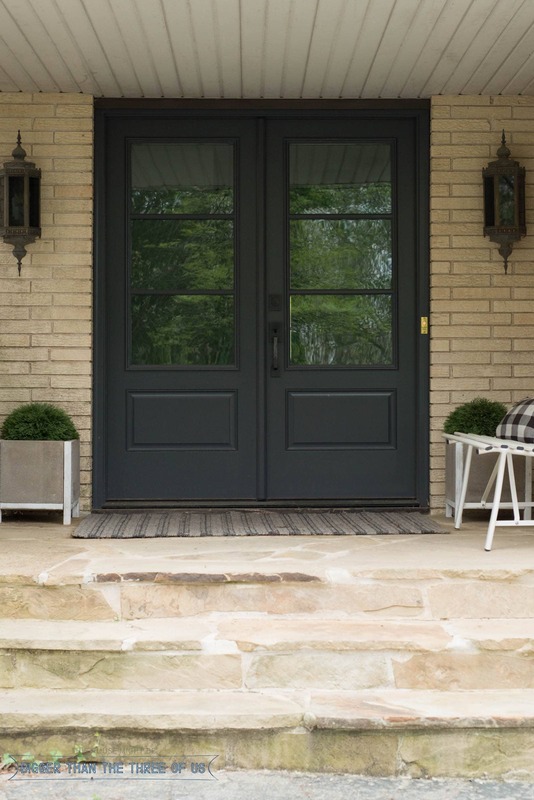 With all DIY Projects, having the right products can make all the difference. 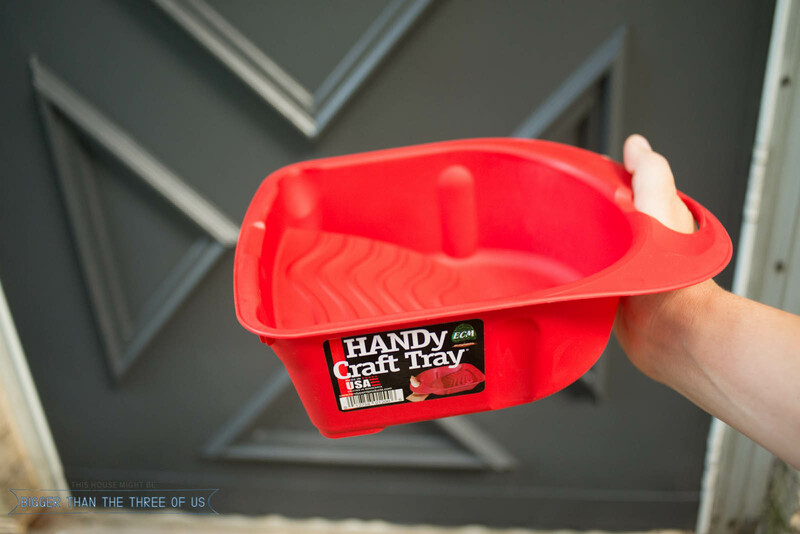 The smaller size of the HANDy Craft Tray (it can hold up to a 1/2 pint of paint) and ergonomic thumb-thru handle were amazing for this project. I could have easily used a mini roller on most of this door too because HANDy Craft Tray has a built-in roller grid that fits up to a 4″ mini roller. But silly me, it didn’t even cross my mind till the last coat of paint! Do yourself a favor and pick one of these up. I have a few of them, which is great because I can slip them in a ziplock bag (with paint in the tray) and keep it in the fridge until my next job!